This short booklet is a compilation of the concise sayings written in the numerous books of Osman Nuri Topbaş. 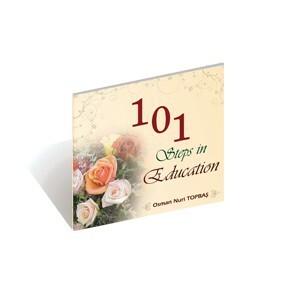 It is an important guide especially for those who are in the field of education. Several pages can be written about each and every one of these 101 sayings. They can be used by all believers as guiding principles in every step of their lives. Es ist noch keine Bewertung für 101 Steps In Education abgegeben worden.